Getting name tattoos is like something that always follows us wherever we go. It will attach for long time on your body. 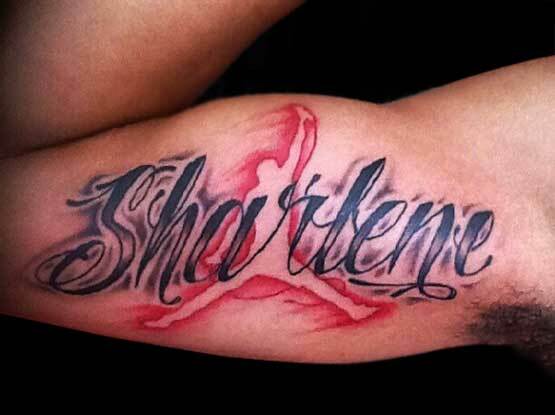 There are many people want to put the special name inked for the immortal reason. 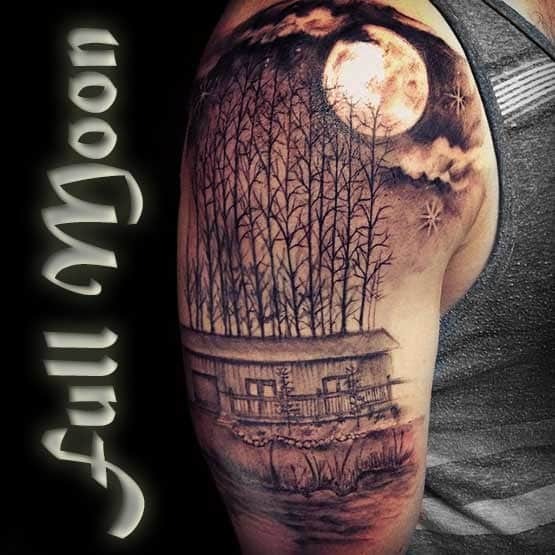 Whatever reason if you want to ink name, it should be consider that because once you get inked it is not easy to remove. 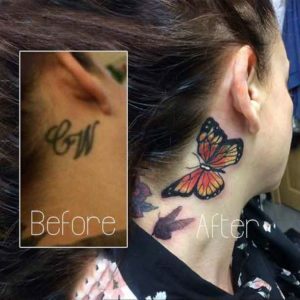 Tattoo may be can remove by laser surgery or cover it up but it will be still there as reminder. It leaves the scars. So, consider before decided to get it on your body. That tattoo is for rest of the life. You should not think you will be removing or cover it if you think you no more need it. There are funny correlation may be a superstition. The couple who get inked name they will break up then. And the name becomes a hurt thing and it is not meaningful anymore. Is it a jinx or just coincidence? Here I would still think that it’s just a coincidence. There are couples that swore for their forever love but then scrambling. They want to erase as possible as can or cover it up when they broke up. 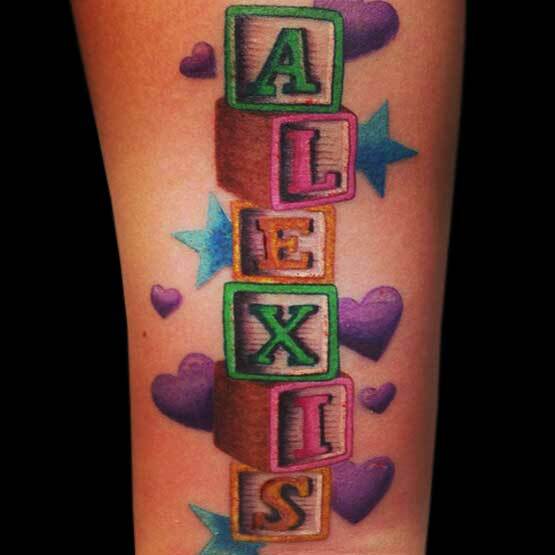 Although we can say it just part of a joke but name tattoos is an eternity. We bear it as an honor for the thing we respect or love. 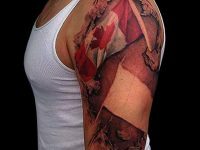 But in this case you may believe it or not, because this is not a standard of skin art. For me it was a joke even though many people have proved accurate. In fact we never discuss Adrienne Bailon tattoo removal. Whether she was also due to the jinx? What kind letter we will choose for the name? You should not worry for it. Now you can make it free on the internet. These sites available to make your own lettering style. There is simple way to do. Or you can make with your signature for more personal form. 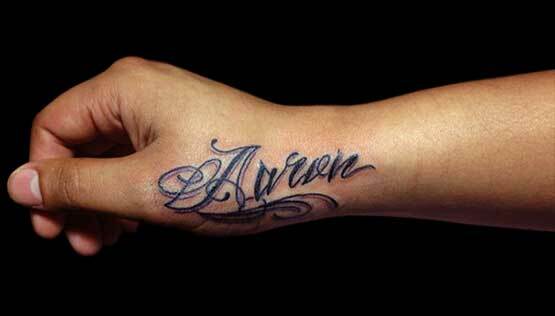 The first thing you should do is decide the lettering you want to apply as your tattoo. Try some type of fonts that usually use. No matter the size as long as it suitable for the place you will put in your body. The right lettering style will make it personality and unique. 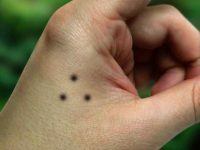 You can make name tattoos with calligraphy, Sanskrit, handwriting or graffiti. 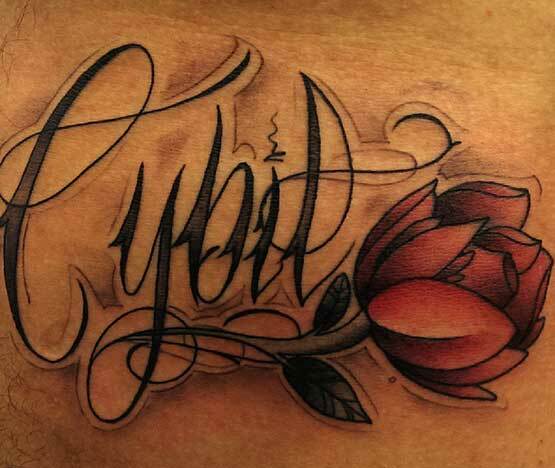 Special name of someone as tattoo is an express you’re feeling to them. If you want to decide to make it on your body, make sure that it is really serious thing. You have relation to the one who has name tattoos on your body.